Multotec supplies processing equipment to the mineral beneficiation, mining and power generation industries. The company’s strategic strength lies in offering customisable equipment that increases yield and mean time between failure (MTBF), to benefit both the client and Multotec’s long-standing history and reputation. Multotec offers mineral processing equipment, screening media, and mill and scrubber lining solutions, combining state-of-the-art simulation programmes with years of experience in treating a diverse range of minerals. Multotec’s highly qualified team of process engineers will recommend the correct size and configuration of cast iron cyclones to suit each client’s dense-medium cyclone needs. Multotec assists companies in the mining, mineral processing and industrial sectors with optimising operations for the lifespan of their plant or extraction application. Multotec provides complete solutions that deliver productivity improvements through the development and manufacture of high-quality, application-specific process equipment and systems. The company’s expertise includes assessing and optimising production processes to ensure a lower cost-per-tonne ratio, improving production rates, reducing downtime and saving money. Its business model focuses on making Multotec essential to its customers, acting as a trusted and valued partner and not simply a supplier. This approach has allowed Multotec to deliver stable growth by building businesses in three group sectors of screening, process and grinding, as well as field service maintenance. The company delivers on its commitment through five core products lines, a two-supplier strategy and a structured market approach. Multotec’s research and development enhances plant availability and reliability engineering. Speed-to-market is achieved through manufacturing plants in Brisbane, China and Malaysia, as well as providing access to a base of manufacturing plants worldwide, high levels of product consistency and reliability. The company also gets OEMs to assume the role of solution provider and recycles customer’s products at the end of their working life. The company makes significant investments in the relative material science to provide high-quality product compounds. Multotec’s Hawkeye™ condition monitoring system is a predictive software tool that provides accurate data on product lifecycles and replacement rates. It is an essential tool for optimum performance and maintenance requirements of mine processing plants, enabling a more accurate prediction of service intervals, scheduled downtime, and more. Multotec manufactures high-quality mineral processing and distribution equipment for both classification and dense-medium applications, specially designed for heavy mineral and coal industries. 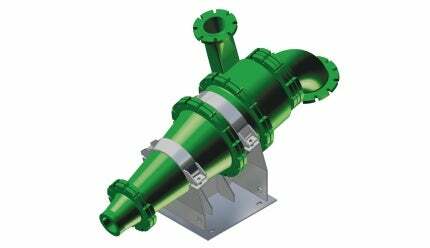 The company also provides gravity concentration spirals and magnetic separation in its range of process solutions. Services offered include design and supply of sampling solutions by specialists that have experience in all aspects of sampling and preparation over an extensive range of mineral applications, and online analysis capabilities. The company uses design tools, detailed finite element analysis (FEA) and customises the solution to meet the client’s specifications within a process flow sheet. Multotec manufactures a range of material screening solutions, which are segmented into polyurethane screens, rubber screens, wedge wire screens and composite screens. Mill and scrubber linings are available in rubber or rubber steel composite. Steel liners are also offered. Multotec’s ongoing design improvements and high service levels result in extended periods between shutdowns and an improved grind. Headquartered in Brisbane, Australia, Multotec has branches in Perth, Mackay, and Newcastle and the group has operations worldwide. The company is accredited to externally audited ISO 9001: 2008, ISO 14001: 2004 and ASNZS 4801: 2001. Multotec’s field service maintenance includes installation, condition monitoring and process optimisation.